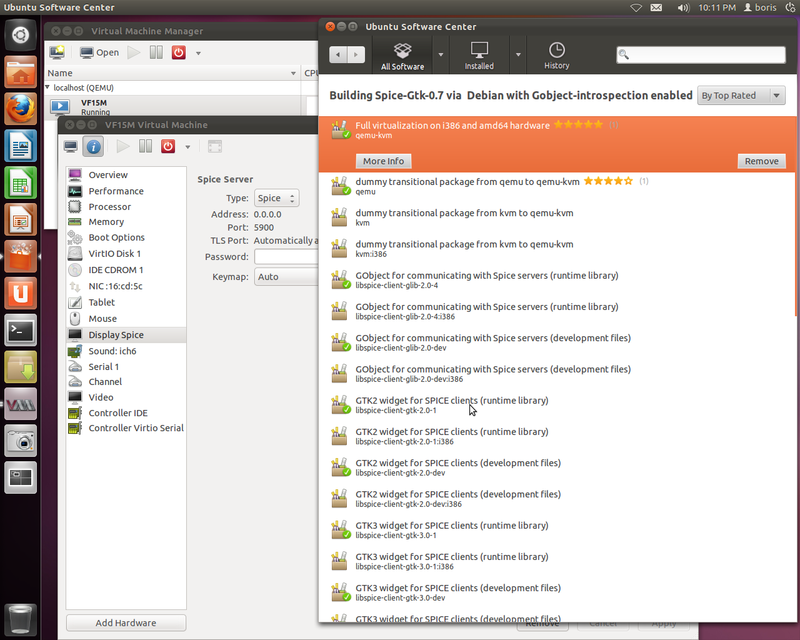 All packages required are already in PPA “Spice-Gtk-0.7 on Ubuntu 11.10″. 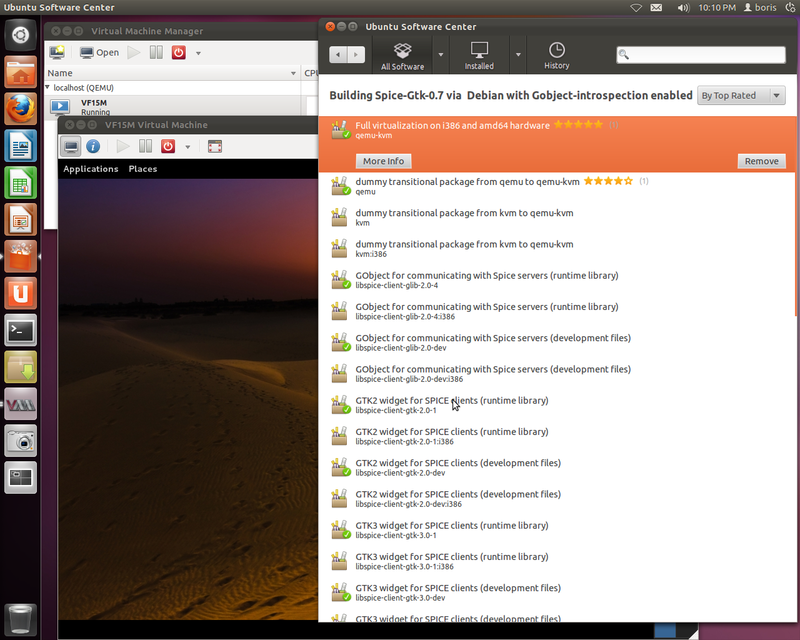 Spice-gtk-0.7 has been done for Oneiric as two builds. First one with python, gobject-introspection enabled and –with-gtk=”2.0″(GTK2). 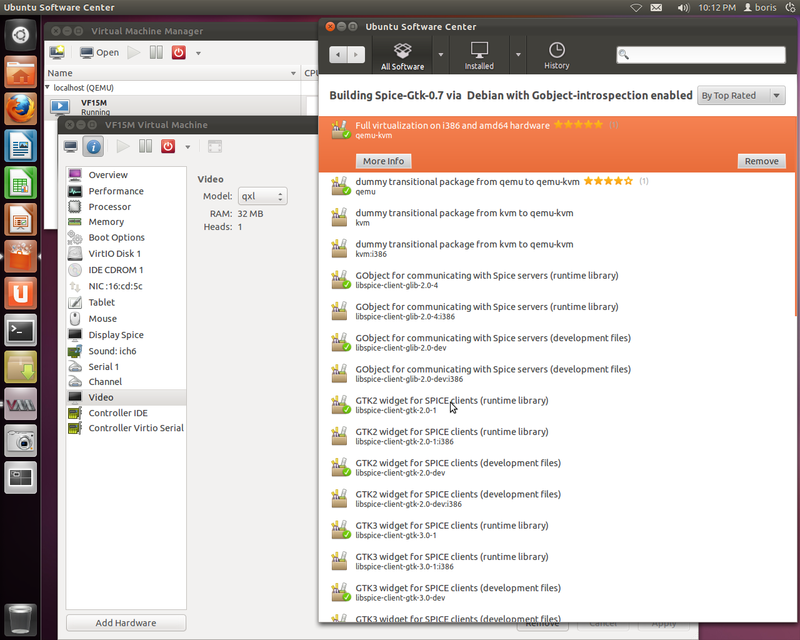 Second one –with-introspection and –with-gtk=”3.0″ (GTK3).This builds actually are the core builds in PPA, which bring RH’s technologies to Ubuntu 11.10. Notice, that option –with-audio=”pulse” is also used by both builds and appears to be working fine.Patched virt-manager and virtinst also support spicevmc channel. 1.The most recent qemu-kvm packages were done via “git clone git://git.kernel.org/pub/scm/virt/kvm/qemu-kvm.git” are Release 0.15-rc1 as of 07/31/2011. You are currently browsing the Xen Virtualization on Linux and Solaris blog archives for August, 2011.